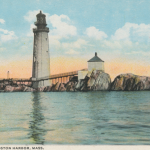 A century of postcards – some fanciful, most historically accurate – show Boston’s fascination with Graves Light. 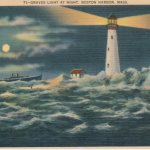 We reproduce copies of antique Graves Light postcards from our collection. 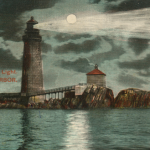 There’s no copyright on these postcards, so we encourage you to enjoy copying them. 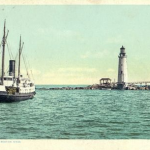 The postcards also offer important historical details that otherwise would have been lost over time. 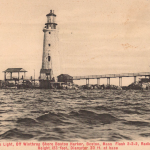 Pay close attention to the various sheds, catwalks and outbuildings that disappeared over the years. Might they come back again? 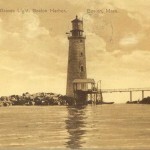 The beacon was famous in its time. 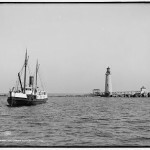 A 1905 image. 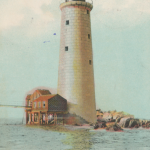 One of the first postcards. One of the more fanciful images. If that ship was real, it would have wrecked on the ledge. 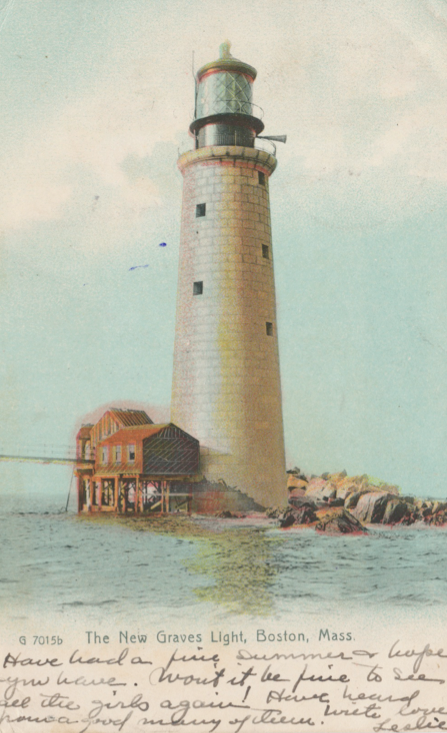 A colorized version of the original photo. 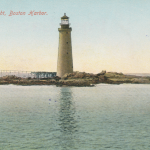 Tranquility in this picture, but most of the huge stone boulders at left have been washed away by the sea. 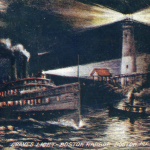 Wonderful artistic license on this 1910 postcard. 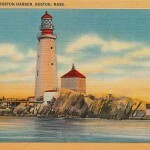 An early postcard of the lighthouse. 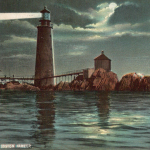 This photo was popular for early Graves Light postcards.